Still Waiting in the Wings follows the trials and triumphs of actors waiting tables in Times Square. While dreaming of the Broadway stage, the reality of slinging hash under florescent lights mixes sweet aspirations with bitter drama. There’s no people like show people, and there’s no telling what can happen when they’re pitted against each other. 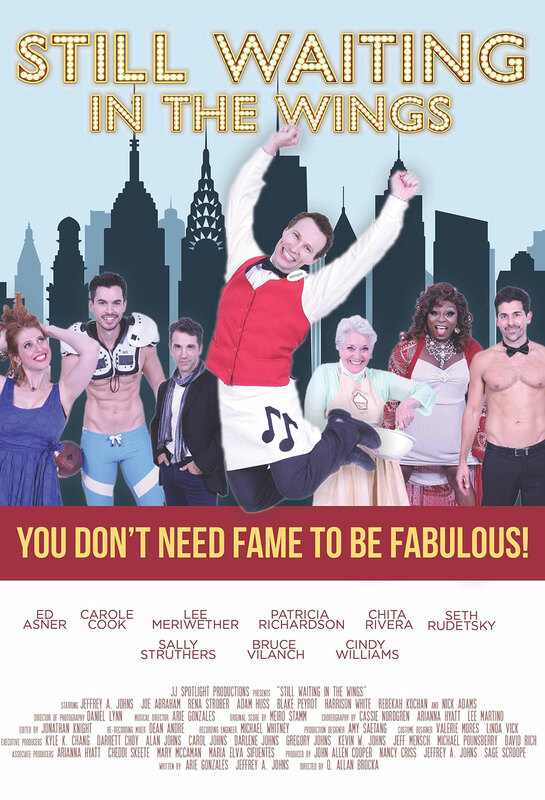 Nick Adams, Ed Asner, Carole Cook, Lee Meriwether, Patricia Richardson, Chita Rivera, Seth Rudetsky, Sally Struthers, Bruce Vilanch, and Cindy Williams round out this heartwarming homage to Broadway with some delightful cameos. Sponsored by Seattle Gay News, Unite Seattle Magazine and Three Dollar Bill Cinema.